it is Back To School time and last week i talked about my own new beginnings even though i am not technically Back To School. this week i want to share a gift idea or care package you can prepare for your Back To School child, friend or family member featuring Schick® disposable razors purchased at Walmart. i am a major fan of the gift basket. i feel like you can incorporate a lot of small items that a person would want and package them together as one big item that everyone loves! i recently helped put together some of these gift baskets as graduation gifts for girls who i attend church with. my favorite is to include a variety of products so that they feel like they are getting a little of everything. first you are going to begin with your favorite gifting container. i prefer baskets but a less expensive option would be a plastic container easily found at the dollar store. towels or blankets are always a good base piece because they provide some bulk and decorative accents to your basket. 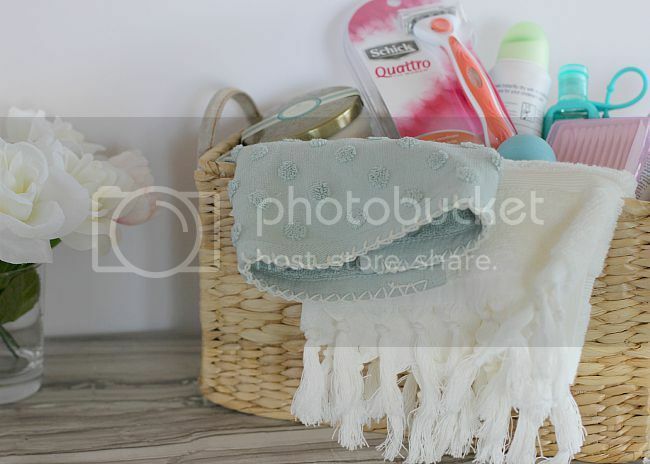 try to artfully arrange items in the basket and purchase your items with color schemes in mind. last, include items they would really want! don't include stuff you wouldn't want yourself, because honestly if you don't want it they probably aren't going to want it either! 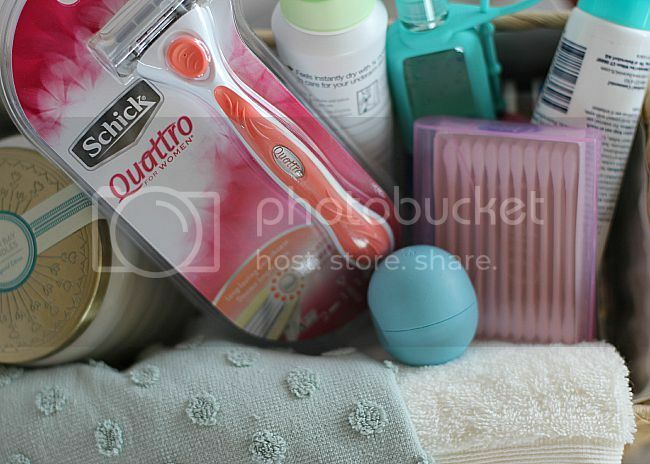 my main focus of putting together the basket below is the Schick® Quattro For Women® disposable razor. every woman LOVES a good razor and let's be honest, we all dread having to buy them. 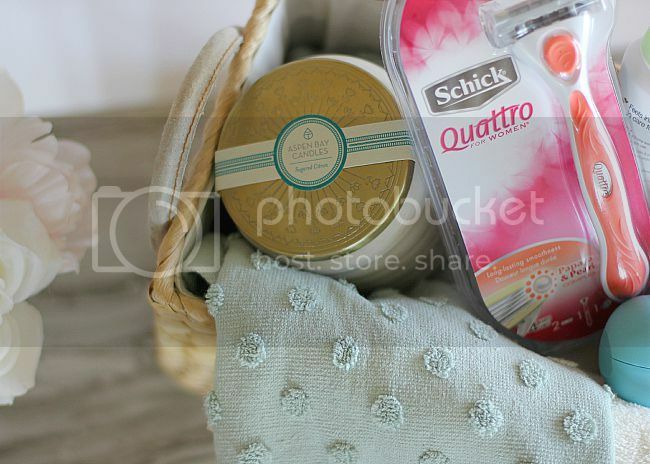 gifting a Schick® Quattro For Women® disposable razor is always a win. in addition to being an awesome product that leaves you feeling great, it has a great color scheme that you can build your gift basket around. i also included items like lotions, deodorants and glosses, all items women use regularly. once your basket is assembled be sure to include a thoughtful note. gifts are just never complete if they don't include a card sharing your feelings towards that person. hope this helps spark some ideas of how you can share some love for that Back To School person in your life.